Greetings! It is a pleasure to write to you today, I hope this letter finds you well and enjoying your day or evening so far. I am happy to announce that today I finally dug out my Weight Loss Spell and added it to the site. It was right at the bottom of my pile of collected spells, rituals and incantations, but since so many of you have requested that I add it I kept digging till I found it! If there are any other spells you are looking for, I have a huge library of spells I’ve been collecting for years with a few friends, but it takes time to add them all to the site. Let me know which ones you want through my contact page and I’ll do those first. In other news I’ve added another article to the site today entitled ‘Magic’ vs ‘Magick’. Many websites use “magick” instead of “magic”, so this article clears up why, what the difference is, and why I like to use “magic”. Do let me know your thoughts and which term you prefer (and why) by adding a comment to this blog post below. I’ve been wondering about what to write in this blog… what do you think I should write? Maybe I could write about you, your magic or your website? Send me an email and maybe I can feature your story here! 2 New Love Spells Added! This week I’ve added two brand new love spells to our Red Book of Love Magic Spells. These two spells are very powerful, and will help you if you love someone but they don’t quite love you back just yet. These spells were added as a result of suggestions from people just like you. If there are any spells that you want which we don’t have yet, please do get in touch and let us know. I have a huge library of spells available, but it takes time to filter out the best ones and add them to the website, so if you let me know which ones you want the most I can do them first. Use the contact page to send me an email through the website. I’ve also posted a new article into our article section – Magic Spells For Beginners. Many people have emailed me to say they think they are not experienced enough to cast magic spells themselves, instead preferring to find an experienced witch to do it for them. Hopefully this article will set the record straight – you don’t need to get someone else to cast your spells for you, you can do it yourself! It’s fun, easy, simple, and most importantly: I strongly believe that spells are more effective when you do in fact cast them yourself. Anyway, read the article and do let me know your thoughts in the comments below. Also, if you have any ideas for articles or news I should post on the website, use the contact page to send me an email and let me know about it. Thanks! Greetings everyone, welcome to the “News” section of my website. In this area, I will post regular updates to let you know what new spells have been added to the site, and also other interesting news and opinion pieces from around the wide and wonderful world of Wicca and white magic. I would also love to feature you in this column – maybe you’ve got a spell book you want to show off, maybe you’ve got an incredible altar or some lovely magical robes or other pictures of your magical setup. We want to see it! So far AllMagicSpells has 25 amazing magic spells for you to add to your spell book and use. 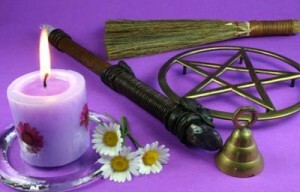 The spells are split into 5 categories – love spells, money spells, protection spells, power spells and healing spells. Click on the links to have a look at what spells we’ve got available. If you want a different spell that we don’t have yet, use the contact form to let me know and I’ll see about adding it. Please check back regularly to see any new updates, and be sure to sign up to our exclusive magical newsletter to receive 2 free sample spells (worth over $30) and a free eBook about the true secrets of magic. Click here to get the free magic spells. That’s all for now. Peace, light, love and magic to you all. Blessed be! You are currently browsing the All Magic Spells News blog archives for May, 2010.